Discount Windows is the only windows company that gives you straight prices, online, without any sales pitch. As the weather improving and the snow will be gone in a few or weeks, door-to-door window salespeople will be hitting the streets. There are particular techniques that these sellers are using in Twin Cities neighborhoods where residents are prone to open their doors to strangers. 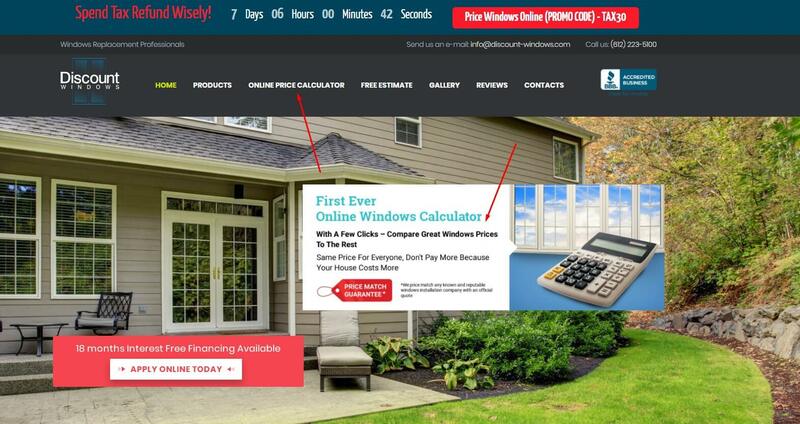 These sales technique isn’t limited to just one company, whether you have encountered them yet or not, we want you to have all the facts about these window sales pitches and some of the problems with them. The neighborhood discount – were working nearby and they were offering a discount to any of the neighbors who wanted to have a similar project completed while they were here. Why is this not true? The only reason a window company will save money is by not moving the equipment from place to place. But because windows are special ordered to the size of your openings, no one will keep their equipment in your neighborhood for weeks. 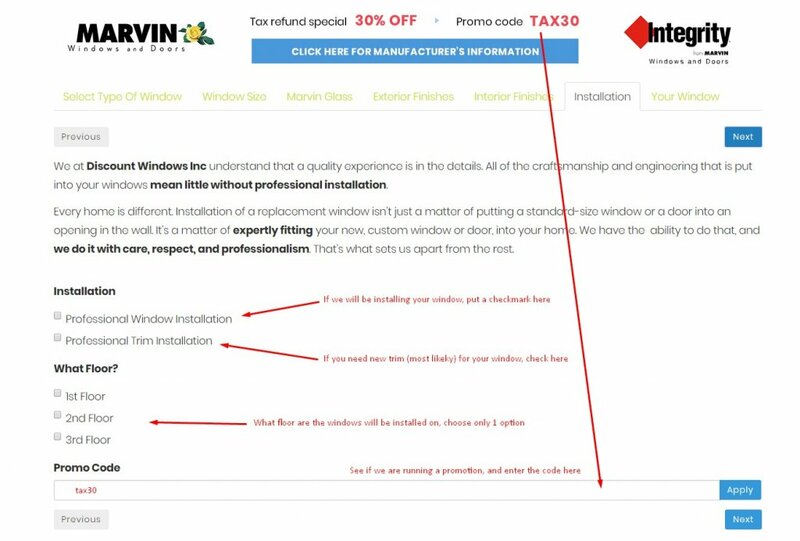 Not saying that you can get a good deal when you see your neighbor installing windows, but it’s not because it’s cheaper for a company to offer a neighborhood rate. 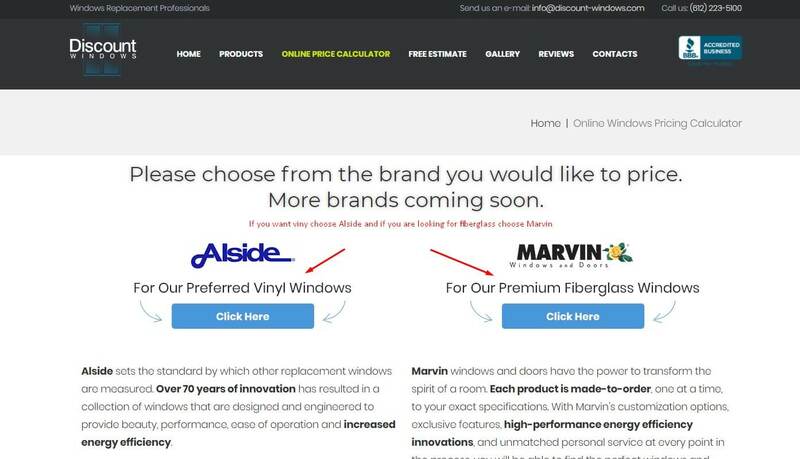 Today only deal – if you’ve gotten a free quote from some of the larger window companies you may have seen today only window prices. The salesman probably had some very high price say $15,000 that was good for a year and he offered it to you after at the end of a pretty long sales pitch. But there is a different price if you sign within 30 days, it’s $10,000. Wow, $5,000 off, but hold on, let me check with my manager, maybe I can get you a “Today’s Deal Only”. And yes, manager approved it, if you sign with us today, your windows will cost you $6,000. 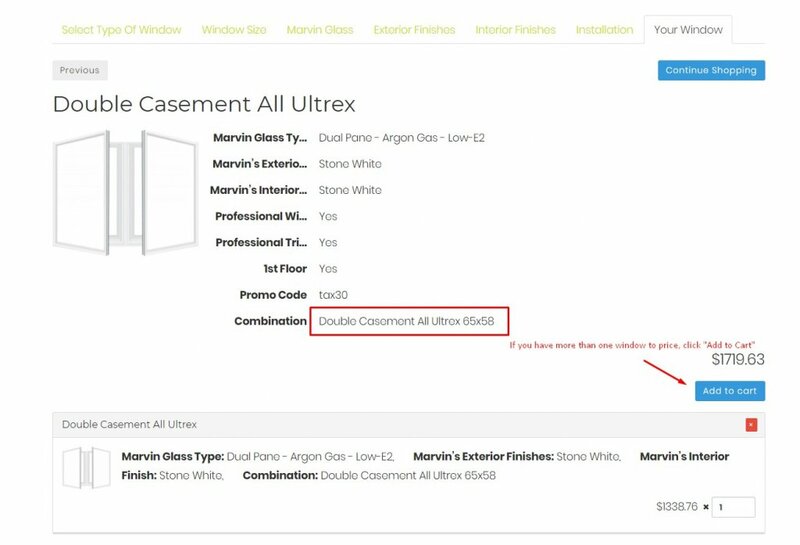 $15,000 windows for the price of $6,000, incredible, right? Buy 2, get 1 free deal – we see these ads all the time. And the sale as usual ends tomorrow, don’t miss this opportunity. Really? Come on! Look, there are at least 10 more sales pitches I can name and waste my time and yours. But why bother? Check out how easy to do this on our site by clicking on the link or the banner. Choose the windows brand. If you are looking for regular vinyl windows choose Alside. If you want higher quality fiberglass, choose Marvin. Choose a window or a patio door from a wide selection. Measure your windows, put the in size. Did you want want higher U-Value, save more on heat or AC? 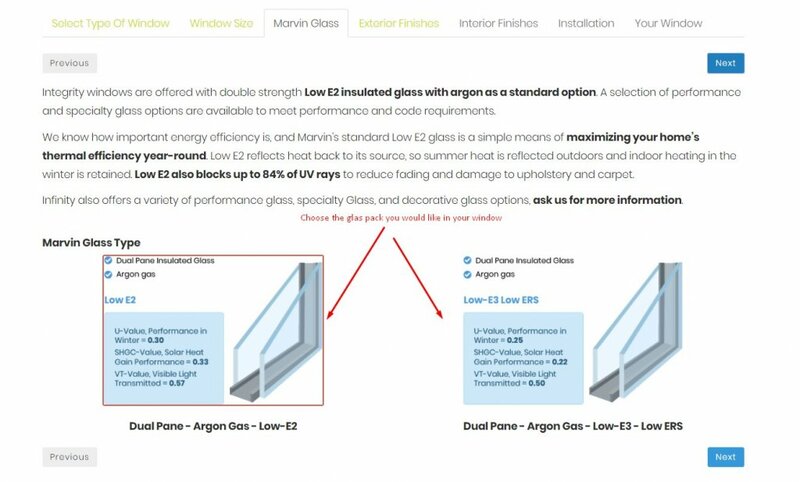 Choose the glass pack you want. 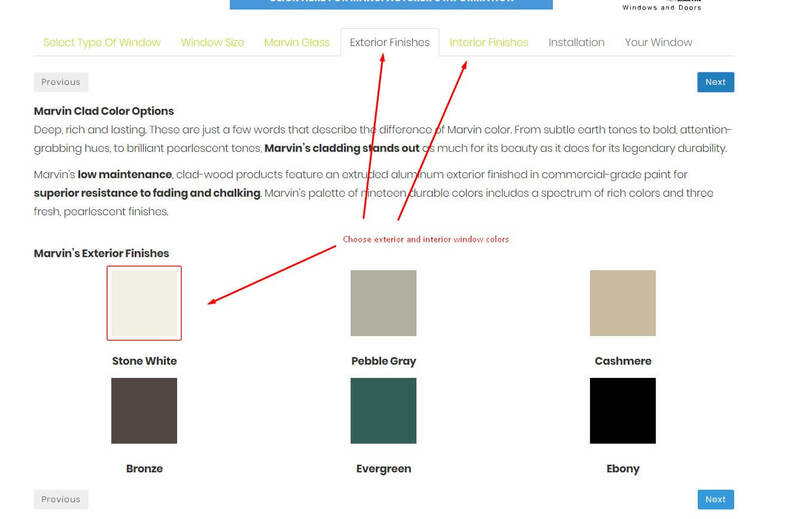 Choose from a verity of colors on the outside of home and inside the house. Choose installation. Do you need new window trim? 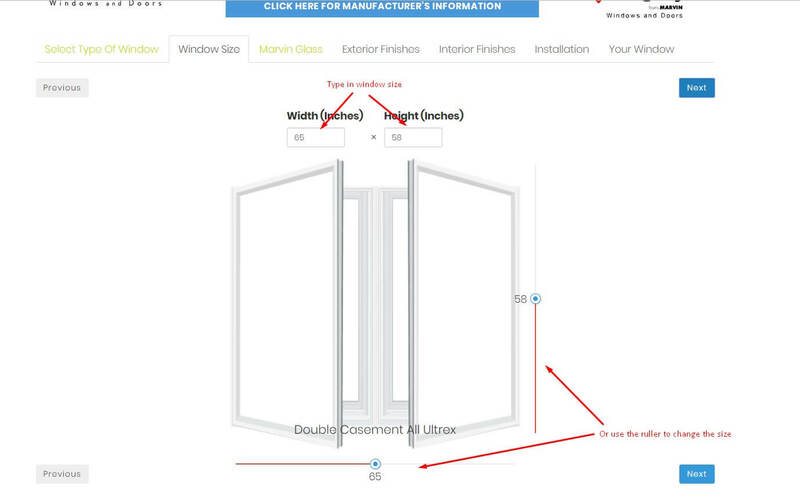 What floor will the window be installed on? 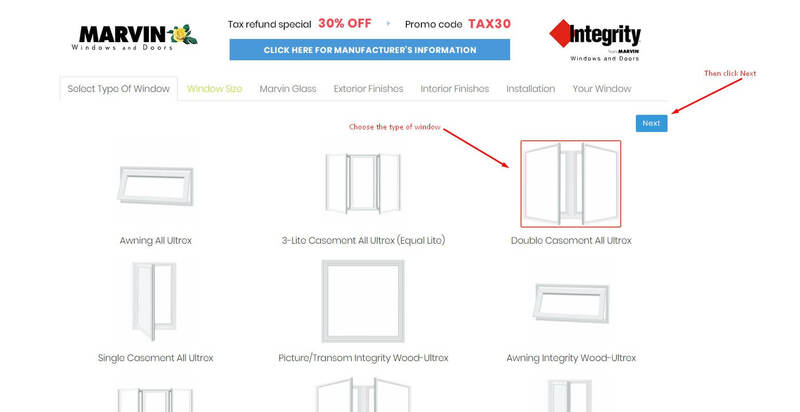 That’s, now you see the price, and if have more than one window to price, click ad to cart, it will save all your windows.